Brown patches – brown or yellow patches on a healthy and well-watered lawn are a sign there are grubs underneath the turf. Rodents or birds – small animals such as moles, racoons, birds, or skunks like to dig up gardens and lawns to get at the grubs below. Spongy grass – grubs tend to eat away at the roots underneath your grasses, making it feel loose or spongy as you walk over it. Increased growth – grub treatments repair and prevent damage from the insects, and also encourages lawn and grass growth. Prevention of dry spots – yellow or brown spots on your lawn can be a hassle to deal with. It can easily be repaired to prevent future dry spots. Repel rodents – animals and birds love to dig up your property to get to the grubs below. Treatments give them no reason to come back. Dethatching – dethatching or core aeration removes plugs of soil, allowing for better circulation of nutrients and preventing grubs. Nematodes – Nematodes are naturally occurring worms that we spray on your lawn and garden to eliminate and prevent grubs. 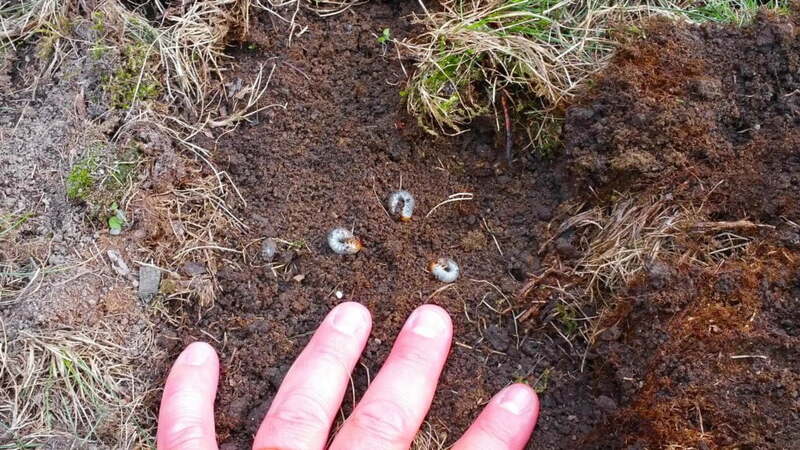 Tips – we’ve come to understand a lot about grub treatments and would be happy to offer advice to help you maintain your lawn. 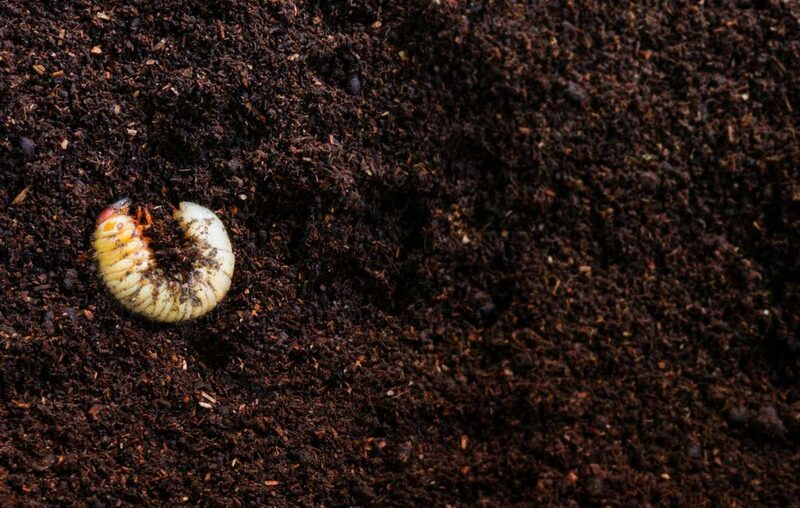 If your lawn or garden shows signs of a grub problem, Contact Weed-A-Way or call us at 905-858-3100 and we’ll help you solve the issue at the source!